I have been lucky enough to be part of the K-W Music community for almost my entire life. 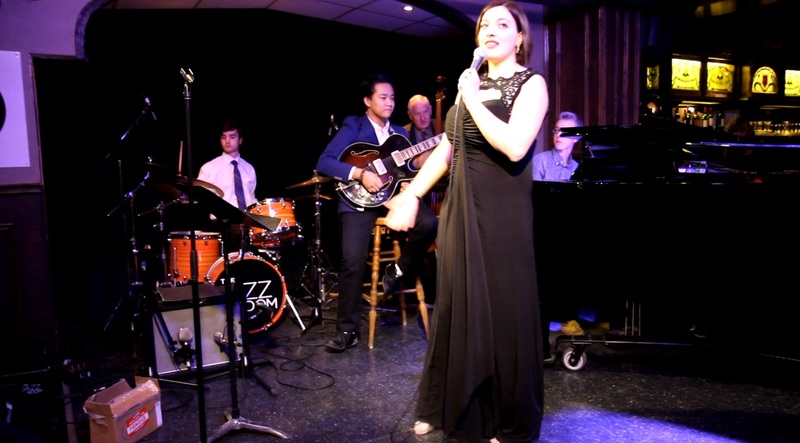 As a vocal teacher, jazz educator, and singer, I have been surrounded by amazing musicians and people who have dedicated themselves to building meaningful music communities: school teachers, conductors, professors, bandmates. There are so many musical individuals that I have looked up to over the years that have changed me as a person and a musician. Many of them still play large roles in my life: as ardent supporters at gigs, confidantes, lifelong educators, and friends. The first time I remember truly feeling the impact of a community built through and by music was at Bluevale Collegiate, my high school. For the first time in my school-going life, I felt a sense of belonging. I found my home away from home, my second family. Thanks to our life-changing, tireless, passionate music teachers (Nancy Kidd, John McLelland, and more! ), the students who went through our music program are now forever linked. No matter how far apart we now might be, we will forever be linked, as part of that community that made music together. There’s something that all those reminiscences have in common: we remember the time we spent together, not alone. We remember the times with each other: singing together in the stairwells, crying together, laughing together, travelling together. We remember the community, probably even more than the specific music we actually made together. I remember those days so fondly, and they shaped who I became and who I am: a professional musician and music educator. Flash forward 8 years later, my days as a high school student behind me, and with a Bachelor of Arts in Music and a Bachelor of Education under my belt, I feel like it’s my turn to step into the role as “community leader”: to shape, build, and lead my own musical communities, and give back to this wonderful region of musicians that has given so much to me. Who better to start giving back to than to high school students? My life journey changed course because of my Bluevale music community, so I want to pay it forward to current high schoolers. The result? I have started Jazz in the Schools. Thanks to the support of Josh Hill and Megan Brenneman at Cameron Heights Collegiate, I recently launched this weekly program to supplement and further shape the community that is already being built so beautifully in the Cameron Heights music program. While teaching the fundamentals of jazz performance, we are also teaching the fundamentals of community interaction: teamwork, collaboration, listening to each other, and creating a meaningful artistic experience together. My bass player, Mike Grace, acts as co-Artistic Director of this venture, and brings over 50 years of experience to the program, as a jazz educator and a professional player. Why jazz, you may ask? Jazz is arguably the most collaborative of all music genres. While there may be a leader, all musicians in a jazz band are equal, and all have a very specific and important role to play. Jazz musicians must collaborate in order to create a successful performance. Therefore, students are learning and engaging in the foundations of being a team player. They listen to each other, even rely on each other, all while embracing the possibility of using their individual and essential musical role, creative knowledge, and skill set. 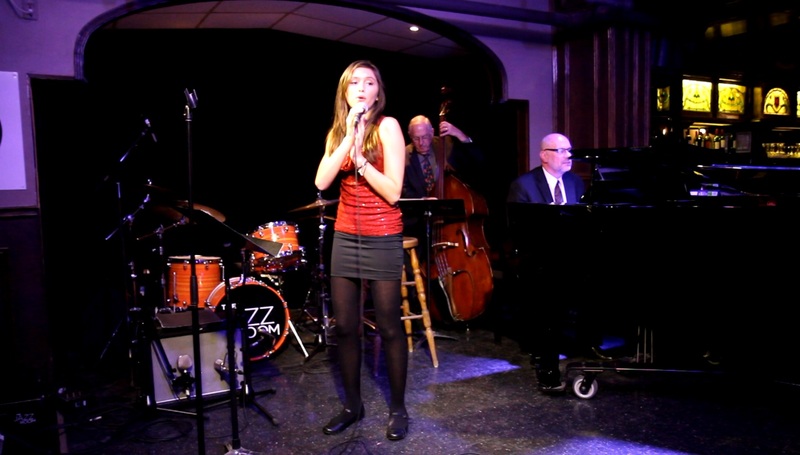 Jazz in the Schools is committed to instructing students of all levels of musical ability. The tailored, hands-on nature of the project caters to student mental health awareness and self-expression. In a world where students are struggling with identity, anxiety and large workloads, artistic opportunities and creative outlets are needed more than ever in our public schools. Jazz in the Schools provides one of these much-needed opportunities. In addition to the musical benefits of this program and fostering musicianship, we believe that an even greater aspect is the tailored, hands-on nature of this project, which will caters to student mental health awareness and self-expression. In a world where teenagers are battling depression and anxiety due to intense school work loads, and might be struggling with identity and their role in society, musical, artistic opportunities are needed more than ever in our public schools. Through this program, students will be receiving an opportunity to work together in small groups, led by professionals and trained educators, who encourage students to play to their strengths, while taking risks to try something new. They have an outlet for their creative, expressive minds that is sometimes unable to shine day-to-day in the high school routine. 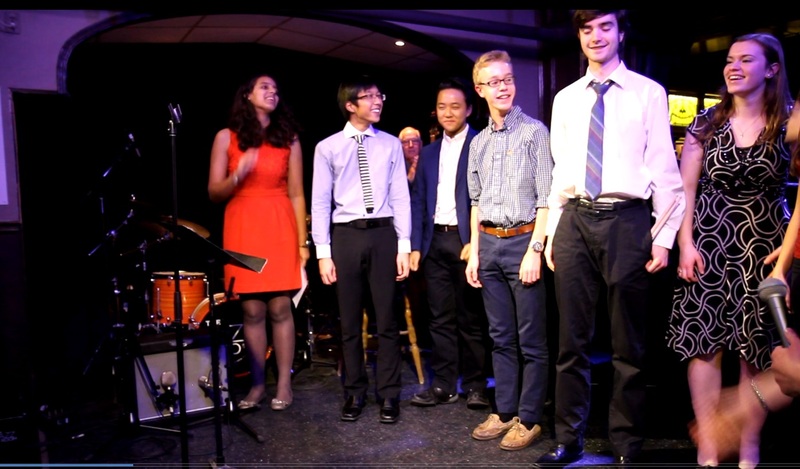 The Jazz in the Schools participants from Cameron Heights recently made their K-W debut as an opening act at The Jazz Room on December 5, 2015. As the saying states, “the proof is in the pudding,” and I couldn’t have been more thrilled when almost 100 fellow students, parents, friends, and teachers came out to show their support for the performers. The building of community through Jazz in the Schools has never been more evident than that evening, with the performers genuinely cheering each other on, and a beautifully enthusiastic audience of peers who gave their fellow students a standing ovation after each piece. Lyrical Lines Makes It Possible! I’m so thankful that Lyrical Lines has faith in this project and our vision for the future. Since Jazz in the Schools’ launch in October of this year, we have already instructed over 600 students in hands-on workshops and performance lectures in 2 high schools: Cameron Heights Collegiate, and Bluevale Collegiate. The program has also recently expanded to elementary schools, when we presented a workshop at Rickson Ridge Public School in Guelph this past December. There are also possibilities of the program expanding to adult jazz education! It is my hope that this program (which I would love to expand to even more schools and communities!) will create lasting memories like the ones I have from my high school years. Hopefully, they will have fond memories of their first public jazz gig, or their first school concert. Hopefully, they will come together as a supportive community of singers and instrumentalists to create a beautiful finished product, learn how to collaborate with and listen to each other. Hopefully, they will be proud of themselves and the accomplishments of their peers. It is my hope they remember their time together just as much as the music they make together. Interested in bringing the JITS teaching team to your school or workplace for a workshop? I have been lucky enough to be part of the K-W Music community for almost my entire life. As a vocal teacher, jazz educator, and singer, I have been surrounded by amazing musicians and people who have dedicated themselves to building meaningful music communities: school teachers, conductors, professors, bandmates. There are so many musical individuals that I have looked up to over the years that have changed me as a person and a musician. Many of them still play large roles in my life: as ardent supporters, lifelong educators, confidantes, and friends. The first time I remember truly feeling the impact of a community built through and by music was at Bluevale Collegiate, my high school. For the first time in my school-going life, I felt a sense of belonging. I found my home away from home, and my second family. Thanks to our life-changing, tireless, passionate music teachers (Nancy Kidd, John McLelland, Cam McBain), the students who went through our music program are now forever linked. No matter how far apart we now might be, we will forever be linked, as part of that community that made music together. There’s something that all those reminiscences have in common: we remember the time we spent together, not alone. We remember the times with each other: singing together in the stairwells, crying together, laughing together, travelling together. We remember the community, maybe even more than the specific music we actually made together. I remember those days so fondly, and they shaped who I became and who I am: a professional musician and music educator. Now, 8 years later, with a Bachelor of Arts in Music and a Bachelor of Education under my belt, I feel like it’s my turn to step into the role as “community leader”: to shape and build my own musical communities, and give back to this wonderful region of musicians that has given so much to me. Who better to start giving back to than to high school students? If my life journey changed course because of my Bluevale music community, why not pay it forward to current high schoolers? So, I have started a Jazz in the Schools program. Thanks to the support of Josh Hill and Megan Brenneman at Cameron Heights Collegiate, I recently started up the Jazz program to supplement and further shape the community that is already being built in the wonderful Cameron Heights music program. While teaching the fundamentals of jazz performance, we are also teaching the fundamentals of community interaction: teamwork, collaboration, listening to each other, creating a meaningful artistic experience together. It is my hope that this program (which I hope will expand to even more schools and communities!) will create lasting memories like the ones I have from my high school years. Hopefully, they will have fond memories of their first public jazz gig, or their first school concert. Hopefully, they will come together as a supportive community of singers and instrumentalists to create a beautiful finished product, learn how to collaborate with and listen to each other. Hopefully, they will be proud of themselves and the accomplishments of their peers. It is my hope they remember their time together just as much as the music they make together.